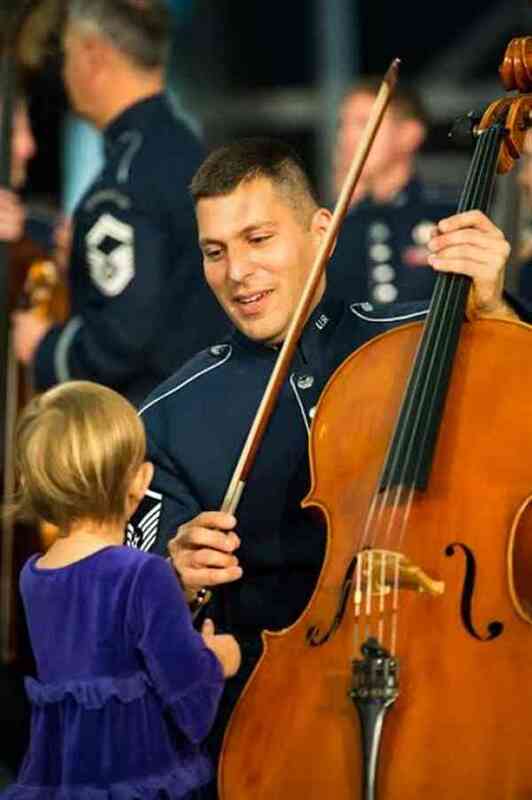 Joshua Kowalsky is member of the Air Force Strings, the official string ensemble of the United States Air Force. Originally from Interlochen, Mich., he graduated from the Interlochen Arts Academy then continued his musical studies at the Cleveland Institute of Music, earning a Bachelor’s of Music. He also earned a Master of Music from the University of Michigan and went on to earn a Performance Diploma from the Hochschule Für Musik in Frankfurt, Germany, in 2004. His principle teachers were Richard Aaron, Anthony Elliott, and Michael Sanderling respectively. Josh has performed with James Levine, Kurt Masur, Evgeny Kissen, Martha Argerich, Rostropovich, Joshua Bell and Vadim Repin amoung others. As a soloist, he has performed in the Kennedy Center Concert Hall, at the Library of Congress, and on tour in Germany, Poland and Switzerland, premiering the orchestral version of “The Holocaust Cantata” for solo cello, orchestra and choir. He has performed for various high-level dignitaries, including current and former presidents, vice-presidents, global air chiefs, and various service secretaries. In addition to his Air Force performances, he has performed with such locally based groups as the National Symphony Orchestra, Harrisburg Symphony, Richmond Symphony, Verbier Festival Orchestra (2000-2005), National Philharmonic, Fairfax Symphony and Alexandria Symphony. Josh has been teaching since 1999 and maintains an active cello studio in addition to his various performance opportunities.